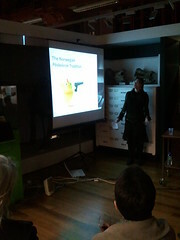 Keep an eye on this blog as our next event in the Nordic Noir Book Club takes shape. We have just confirmed that internationally acclaimed Icelandic author, Yrsa Sigurðardóttir, will be joining the Nordic Noir Book Club in London on March 17. She will bring Icelandic “ashes and dust” to London, though, fortunately, only in the pages of her latest crime novel in translation: Ashes to Dust, trans. Philip Roughton. Hodder & Stoughton, 2010. 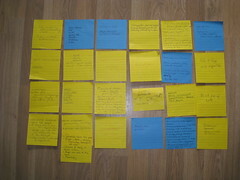 More information will follow in our Newsletter, on Facebook and on this blog. 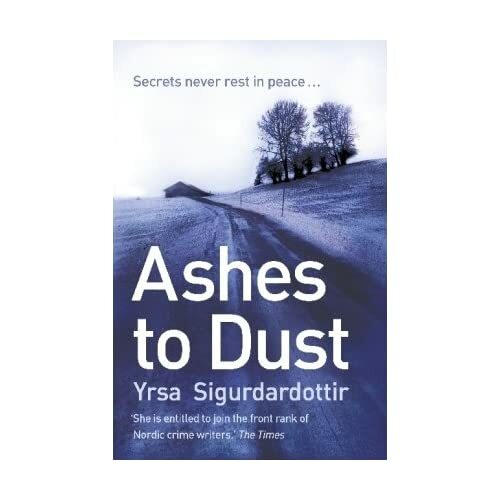 In the meantime, read Ashes to Dust and the other crime novels byYrsa Sigurðardóttir, and reserve the evening of March 17 for what will surely be another fun, informative and social event. The primary organiser of this event is Teaching Fellow in Icelandic, Dr Reynir Þór Eggertsson, who will be assisted by the rest of the Nordic Noir team of staff and students in the Department of Scandinavian Studies at UCL. If you still haven’t got your tickets for the next Nordic Noir Book Club event featuring Icelandic crime writer Yrsa Sigurðardóttir and Richard Wall of Aon Benfield UCL Hazard Centre, you need to hurry to our online box office as there are only a handful of tickets left. We have just received the new bookmarks that go with this event designed by Essi, and there will be a free bookmark for all who attends. Food and drinks will be on sale at the event, which this time takes place in a modern looking cafe at UCL. 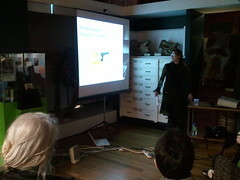 Please see more details on the blog page devoted to this event. Link found at the top of the blog. Fabulous – really excited already as I have loved Yrsa’s novels to date. Ashes to Dust I thought was quite a contrast to Yrsa’s first two books but I think it is actually my favourite so far. Is it me or is this ‘noir’ just a bit lighter than much of the genre? Just an observation – I love it all! Thanks for this news, it should be a great evening. I really hope I can make it as sadly I could not attend the Hakan Nesser evening.